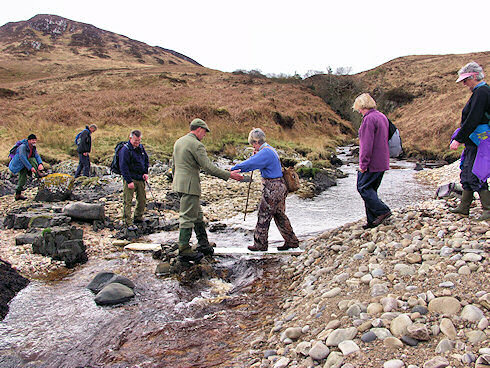 I've picked this picture for a reason, it's from the Lossit and the Sound of Islay walk in 2004. We will do that walk again tomorrow, but in reverse. After the heavy rain the last few days we will have to cross quite a few swollen burns, I hear we might even have to complete a few detours. With that thought I'm signing off, really better get some rest for tomorrow. There probably won't be many updates the next few days if any, however, I hope to post a few pictures from the walks to the Islay Pictures photoblog. The larger version of the picture above should go up tomorrow morning. PS: The printable version of the illustrated WalkIslay 2009 programme is still available.